Do you want to have the National Accreditation for SHBBMUP001 Apply Eyelash Extensions?? Ceecees beauty and training in conjunction with AMBI Australian massage and Beauty Institute, are pleased to offer you the opportunity to receive a Statement of Attainment from SHBBMUP001 Apply Eyelash Extension. To receive a Statement of Attainment, in addition to already having completed an Eyelash Extension course, the student will be required to complete work book activities, additional lash applications and a written assessment. You will not be required to pay and attend for training all over again but must meet the following requirements listed below. You will be required to provide evidence of your existing qualification for Eyelash extensions, before and after pictures of a classic lash full set with a minimum of 40 lashes per eye. The full set must meet the standard and requirement of the trainer to proceed, if it does not meet the standard you will be required to resubmit your evidence or come in face to face and compete a full set in front of the trainer. Once approved you will be required to complete 2 additional lash applications in your own time which is practical based training, you will be required to complete a work book with activities with both practical and written assessments. You will need to submit images of your work with corresponding evidence. Once completed your workbook and image evidence must be forwarded to Ceecees Beauty and Training for assessment. On successful completion you will receive your Nationally Accredited Statement of Attainment via mail. If you’re not successful you will be notified by your trainer to re-submit your work for further approval. -You have upskilled your knowledge and skills as an Eyelash technician. -You will have higher qualifications making you more employable to salons. 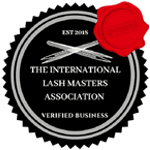 -You have not run the risk of not being qualified if the government make it compulsory to hold a Nationally Accredited Certificate whilst offering lash extension services. -You don’t have to a complete an Eyelash extension Course again to obtain this statement of Attainment.